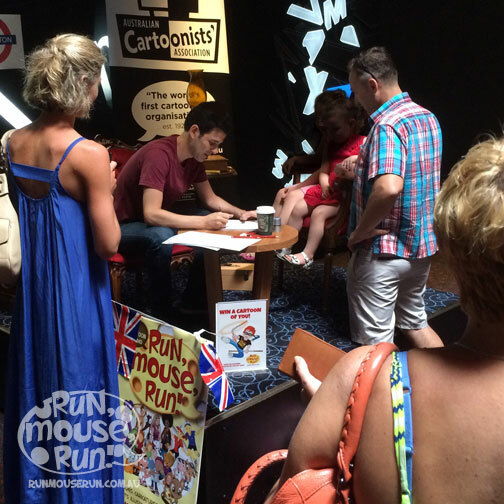 Mike from Run Mouse Run is available for live drawing and cartoon drawing workshops. Appearances and workshops come in a variety of themes. From large scale expos to schools and children’s birthday parties, Run Mouse Run’s model suits many organisations. Please contact Mike to talk about your event! Email me in the online form below.